Gord and I had theatre tickets for the Shaw Festival last night. 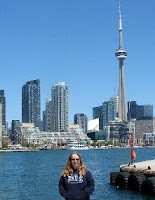 We drove to Niagara-on-the-Lake yesterday afternoon and drove home today. 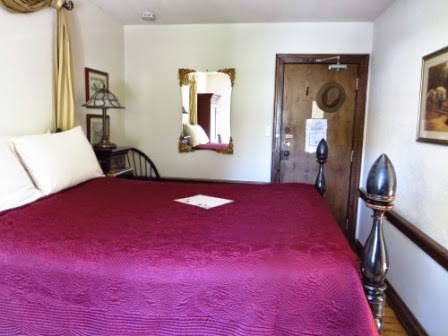 We spent the night at the Olde Angel Inn. 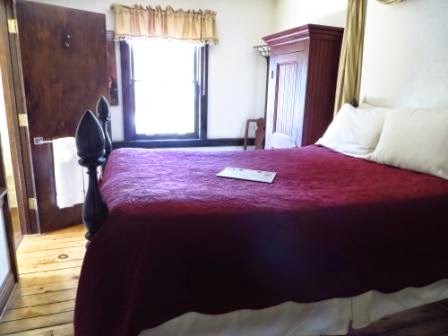 Great food, historic accommodations and good friends await you here at Ontario's oldest operating inn. 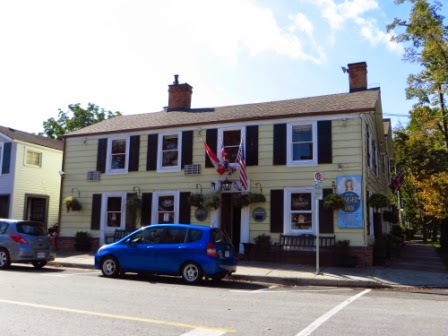 Established in 1789 and rebuilt in 1815 after the War of 1812, The Olde Angel Inn is a perennial favourite among locals and tourists alike. 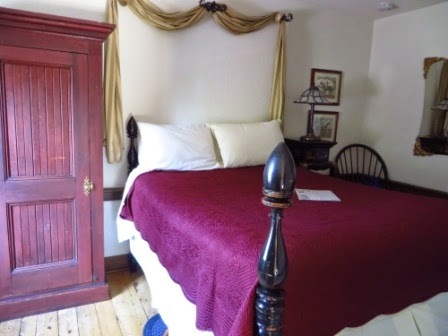 Boasting a lively English-style pub, quaint dining room and private function room (familiarily known as the "Snug"), as well as 5 fabulous guest bedrooms, The Olde Angel Inn is decorated in olde world decor, including three cosy gas fireplaces, one in each of our three dining areas. 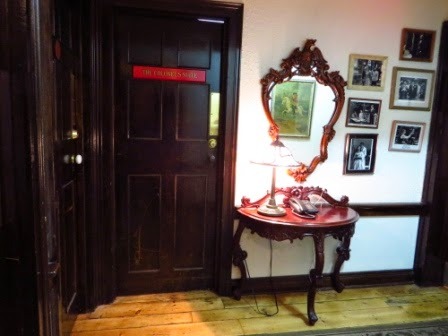 Step through our doors and back into history. 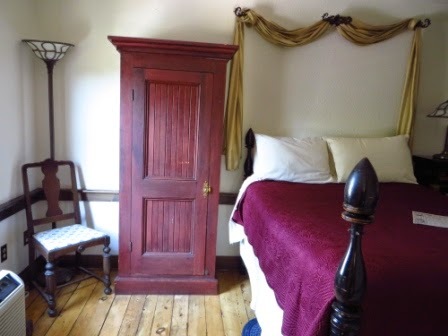 The Olde Angel Inn's rooms, with exposed hand-hewn beams and thick plank floors laid in 1815, still echo to the sounds of the British soldiers and townsfolk who, two centuries ago, gathered here for food and drink. 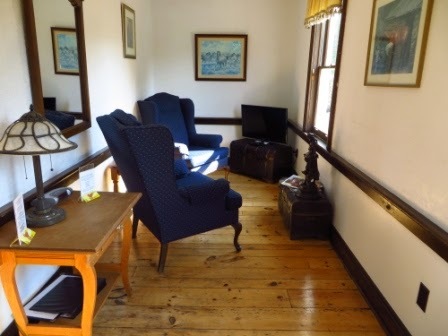 Small but unique, the Inn is believed to have been founded as The Harmonious Coach House on land granted to the deputy surveyor-general around 1789. The town was then called Newark and was destined to become the first Capital of Upper Canada. Records from this time are sketchy but it is known that in 1793, the new Assembly passed an act outlawing slavery, the first such law enacted anywhere in the world. It is believed that the legislators celebrated the event over dinner at the Inn that evening. 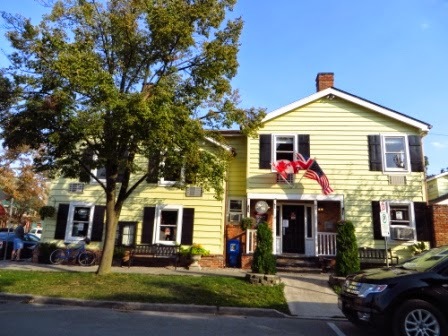 The Inn was badly burned during the War of 1812-14. It was rebuilt by John Ross in 1815, who named it the Angel Inn, in a tender reference to his wife. There is a popular local legend (that shows up in accounts dating to the 1820s) of an unfortunate Canadian militia officer who was killed at the Inn during the American invasion of May, 1813. Alas, we didn't come across Captain Swayze. 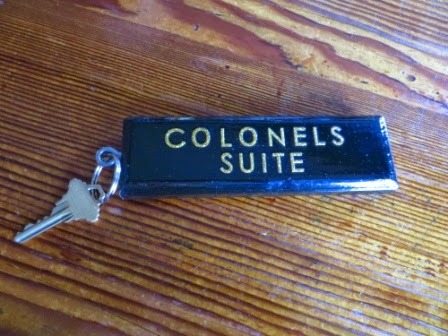 We stayed in the Colonel's Suite. 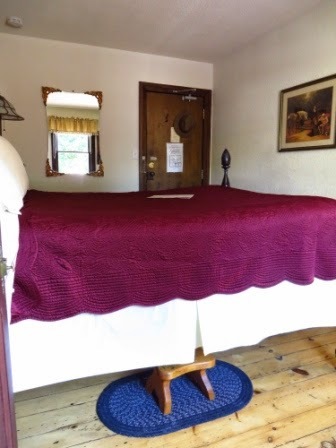 Enjoy a unique sleeping experience in the antique "Irish Fertility Bed". 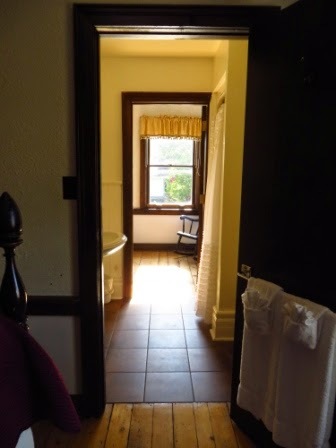 Suite has a three piece bathroom with shower and a private sitting room. Sleeps two maximum. Located above lobby at the side of the Inn. yes, we needed the footstools to get into bed. The bed was sooooo comfortable! 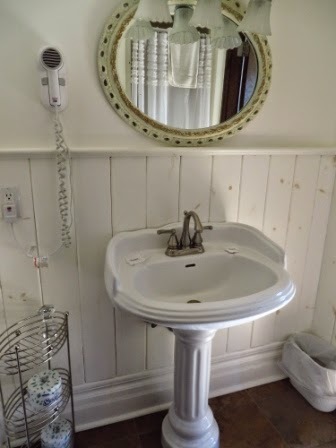 This was the entrance to the bathroom. 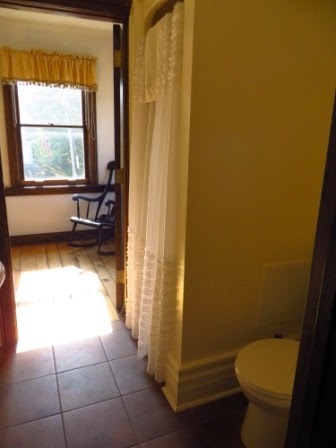 And then through the bathroom was the sitting room. When we checked in, we were warned that the room wasn't modern ... that's exactly why we'd decided to stay there! 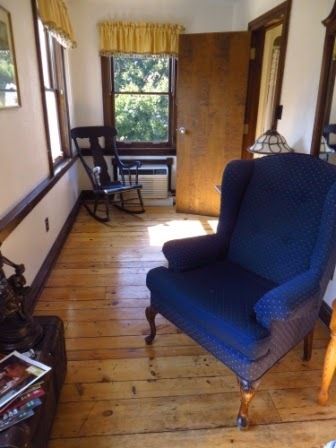 There are a couple air conditioners that kept the rooms cool. There is no parking on site but there are lots and street parking. We ended up parking about two blocks away on the street (and it was free). It's downtown so a short block from the main drag where there are restaurants, shopping, theatre, etc. There is a pub on the main floor and that's where we had supper yesterday. There's also live music (the band last night was Ear Candy and they were really good). It was about $190 (including taxes) for the night ... it's less during the off-season. We'd stay there again the next time we go to Niagara-on-the-Lake. It looks like a charming place to stay!